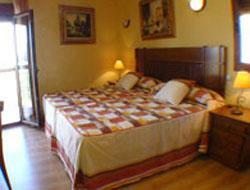 "Price, quietness, cleanness, free wifi, stylish shower"
Hostal La Vega is a cozy place where travelers can enjoy a deserved rest. 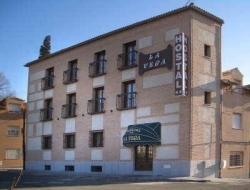 A new building, opened in 2008 which is located 6 minutes from the center of the incomparable city of Toledo. 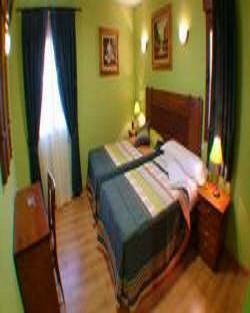 The accommodation offers 2 single rooms, 6 double rooms and 2 triple rooms, all equipped with TV, telephone and air conditioning, along with a personalized decoration. It also has common areas such as a spacious lounge with vending machines for food and drink. It also offers the possibility of hiring the breakfast, and even stay in full board. 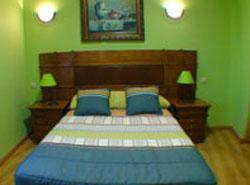 The excellent location of the apartment allows to move to the center in a few minutes. You can visit the most important Toledo landscapes such as la Puerta de Bisagras, la Plaza de Zocodover, la Catedral o el Alcázar. Is in the neighborhood Toledan sugar, and is connected with the center of Toledo buses that will lead to Toledo in 10 minutes. Reservation may be cancelled or amended up to 168 hours prior to day of arrival of the client. Failure to cancel your booking prior to this time will result in a charge of one night's accommodation apart from the initial guarantee deposit. In order to amend a reservation, please contact directly to the hotel which details figure in the voucher. If your amendment reduces the number of nights or rooms the deposit will not be refunded and will not be discounted of the modified reservation fee. "Very far away from toledo center (5 km). You will need a car or take busses. No breakfast but there is a cafe-bar on the same road. The hotel personnel did not speak English."